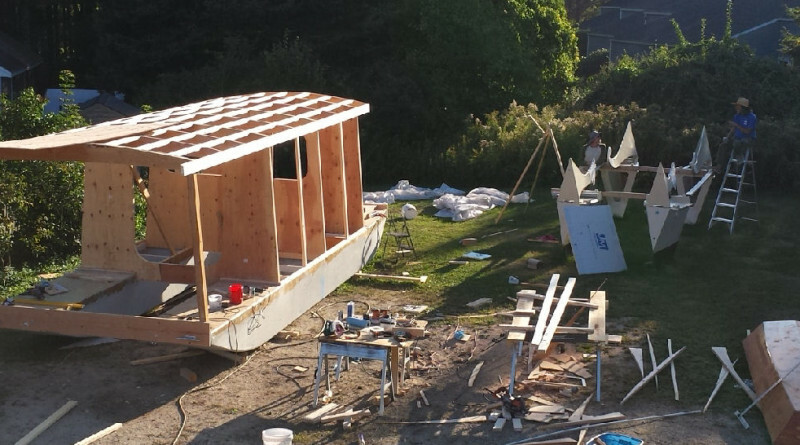 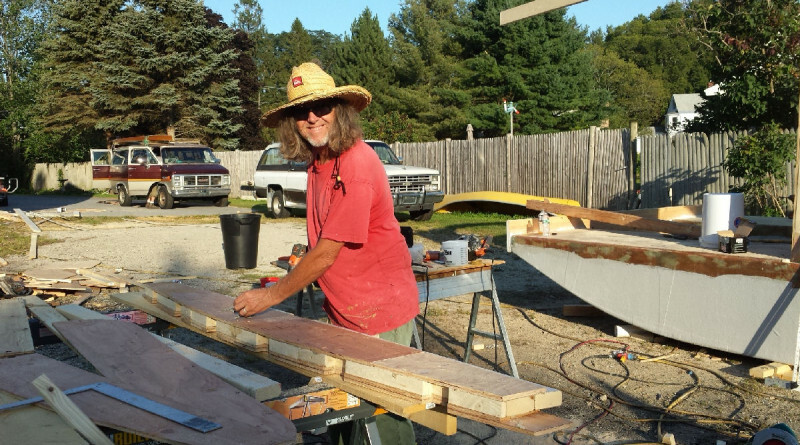 Contact Rick Keith and Steve King for custom design work, pricing on plans or building one of our designs to any stage of construction/completion. 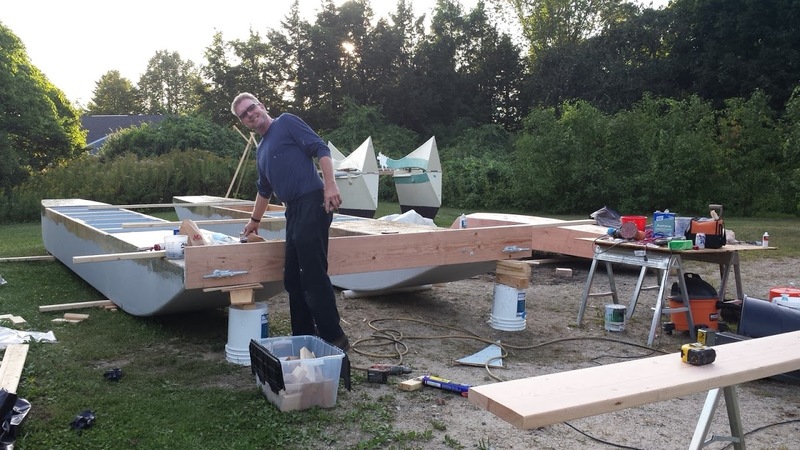 Fitting the panels for the first scow hull. First Shanty for tv show. 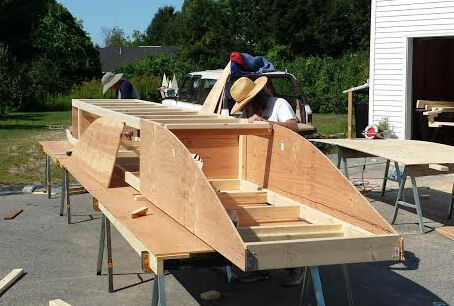 Rick and Steve are standing by the bow and stern parts of Rick’s 56′ schooner cat under construction.